Success factors: With over 350 companies and over 2500 employees, the ICT sector forms a significant part of Tartu’s economic ecosystem. The event is free of charge and held in a non-formal atmosphere (no speaker spots can be bought). Inclusiveness and respect for differences are core values. These events are not for individual or corporate profit. Sponsors (local IT companies and Tartu City Government) are much appreciated for their financial assistance (the city government supports every event with about 400-500 EUR). Find enthusiastic people in your region that want to help you run the event (in case of Tartu, the main organizing tasks are lead by companies). Transferability: With about 80-100 persons attending the events, this can be held also in small and medium sized cities, as there is no need for a huge „critical mass“ of participant. Venue space considerations: A (big) room where everybody can sit comfortably and listen to the talks. Enough space for networking and drinks area. Use the overall Mobile Monday brand and settings. Short description: TechnoLunch developed by Rostock Business and Technology Development GmbH addresses SMEs, start-ups and science representatives from the maritime sector. In the setting of a casual lunch, these stakeholders get the opportunity to present their own institution (with focus on SME), to discuss current research projects as well as to exchange ideas about further research and development. Within an adequate timeframe paired with a suitable location, this tool aims at creating a casual setting, fostering the formation of strategic alliances and the implementation of RIS3 strategies in the maritime sector. For companies, the focus lies on establishing new business contacts and research cooperations, whereas research institutions are much more practice oriented, focusing on their current and future research as well as their technology development. While RIS3 strategies are not always explicitely named, they remain a permanent guiding principle, and are particularly pushed by research institutions, which eventually act as RIS3 multipliers by promoting and integrating these strategies into their day-to-day work. A pilot-project took place in March 2018, counting a total of 11 participants - a rather small group, which allowed deeper and more target-oriented communication also thanks to an adequate moderation. Success factors: The main success factors of TechnoLunches are its excellent time efficiency (designed to fit into a slightly longer lunch break) as well as its casual setting, which is experienced as different to more traditional business occasions. Furthermore, the non-binding and open character of the event is very important, guaranteeing the possibility of participation free of charge without no obligations. Furthermore, no additional resources are required, since restaurant reservation and moderator are provided by the host institution Rostock Business. Merely the costs of one's own lunch need to be covered. Transferability: TechnoLunch's success makes it highly recommendable for other places and regions, either with it original framework or with slight changes, enabling adaptations to local structures. Nonetheless, the following guiding principles should be maintained: 1) Aiming at working with smaller groups in order to enable intensive communication, fostering more fruitful and efficient outputs. 2) Providing a setting suitable for the event, such as a closed-off area in a public restaurant, ensuring privacy and no disturbances, especially when discussing sensitive and confidential information. Short description: Innovation Breakfast functions as a platform for innovative knowledge exchange. Originated from MatchINDUSTRY LAB implemented by Prizztech Ltd. in Satakunta (FI), Kaunas Science and Technology Park (Kaunas STP) from Lithuania adapted the approach as a regular event in Lithuania. It aims at connecting all relevant stakeholders in specific economic sectors and RIS3 areas to foster R+D transfer. The concept provides companies, start-ups or research entities the chance to present specific development and research fields, challenges and ideas to an audience of developers, researchers, corporations and investors. Beside the knowledge exchange, the concept supports follow-up cooperation between innovation actors and implementers to develop new technological and digital solutions for presented ideas and challenges. In order to develop Innovation Breakfast to a comprehensive empowerment tool for companies, Kaunas STP is currently expanding the concept from a merely networking/matchmaking event to a three-stage concept including also mentoring and training services – for more information see the Synergy and Empowerment Concept ICT. Success Factor: A careful and strategic selection of participants matching to a specific field or challenge should be carried out. This well-thought mix of participants should also include non-industry actors who would expand the professional horizons of the specialized event (into related or even non-related areas). This way the potential for generating creative/innovative ideas and products is expected to increase. Companies who present technological solutions, current challenges or relevant research fields should be well prepared. This includes that companies should outline problems, work on progress, open-ended questions, required skills, etc. to meet perfect matchings with the audience for further cooperation. Transferability: This event is easy to implement – the simpler the format the better the results. Participants immediately get feedback on presented ideas and challenges. Further cooperation between new partners is likely to accomplish when selection of participants is well prepared. 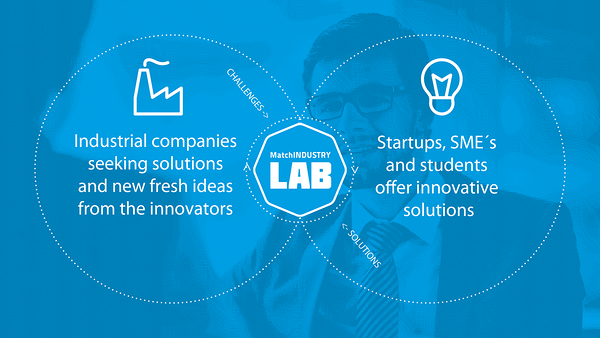 Short description: MatchINDUSTRY LAB (MI LAB) established by Prizztech Ltd. provides an innovative and solution-oriented approach of R&D transfer and matchmaking to support industrial renewal and modernisation processes in the Finnish province of Satatunka. In the frame of a hackathon-event, companies get the chance to present their problems and challenges to an audience of developers (start-ups, technology providers, university teams) who will work out various solutions. Subsequently, the companies can pick up the most innovative cuttingedge solution and proceed to cooperate with the developer to improve their processes. MI LAB also aims at including latest ICT solutions and digital applications into the industrial sector. Success Factor: Since participants have to deal with issues of confidential business information and ownership of created innovations, a careful planning of the event and in-depth discussions has to be conducted. Start-ups from different sectors should be encoureagd to praticipate. Transferability: The concept is fairly easy to transfer to various industries. For instance, Satakunta region started the first hackathon with a focus on metal industry and proceeded to apply the concept to food industry and circular economy. Facilitators should be experienced and knowledgeable in the field or industry-focus of the event to guide through the event as experts. The creation of a network of developers beforehand is advantageous. Short description: The Reference-Group approach is a standard project management tool, but is seldom used to its full potential within innovation governance processes. The Region Gävleborg improved the approach while governing stakeholders from the public sector, business sector and academy to build the world's first Electric Road System (ERS) on a public highway for heavy transportation in 2016 (E16 Sandviken). The reference groups in the ERS innovation process are divided into areas of expertise e.g. risk analysis, emergency rescue, business models. The core work group, uniting the central stakeholders, is called “the family”. Each handpicked participant's motivation is analysed to achieve a win-win situation for everyone. Furthermore, an open way of informing and discussing the project builds trust. Since creative input and critical questions from everyone are valued, the stakeholders feel included and perceive themselves as part of a world class innovation process, with the potential for structural transformation and for increasingly profitable business for everyone. Short description: The aim of this GP is to strengthen the cooperation between research entities and companies via a joint research agenda. A trial-cooperation has been developed since 1 August 2016 under the research and implementation works between the Medical University of Lublin and Colfarm S.A., a pharmaceutical manufacturing company. The area of cooperation constitutes the use of natural resources in the pharmaceutical industry, included in the first smart specialisation of the Lubelskie Voivodeship - bioeconomy. The main undertakings combine intellectual and infrastructural potentials as well as investment approaches. The three main entities, namely the conduct of research and development activities lead by the research institute, technological and production processes handled by the company, and registration activities delivered by both parties, herby function independently. Success factors: This GP has resulted in multiple positive outcomes such as: higher level of trust between partners, better cooperation between research entities and businesses; strategic cooperation of partners fostering long term results; flows of information, data and competences in both directions; development of new products/facilities for the market; fostering of intellectual and infrastructural potential; establishment of new R&D units; cooperation between different competence units (which conduct basic and complex research). A clear relationship between the research entity and the enterprise needs to be established where research services are compensated through royalty payments, the clear division of rights is maintained and the consultancy of a service contractor is recommended. This will ensure that the remuneration, is distributed in time and secures the interests of the parties in the event of the transfer of the right to the created IP as well as the implementation of this IP by the entrepreneur. Transferability: The tool’s effectiveness, synergy and cooperation scheme make its potential replication and development attractive. It needs to be pointed out though, that the prioritisation of knowledge transfer prior to commercialisation in this area is a key component. Short description: The goal of good practice is to improve the quality of health in the region thanks to interdisciplinary cooperation of specialists and units from various fields of science with the involvement of pharmaceutical companies, hospitals and spas. The research program is focused on modern diagnostics on the search for molecular biomarkers related to genomics, transcriptomics, metabolomics and proteomics, useful in early detection of diseases, predicting the course of therapy, monitoring the effectiveness of treatment or being potential targets for new therapies. The introduction of new solutions will enable testing and monitoring of the effects of drugs introduced on the market or new drug candidates, as well as the development and implementation of nonpharmacological methods using neurotechnologies. Anticipating the effectiveness of treatment at its early stage reduces both economic expenditure and reduces the risk of adverse complications. In order to maintain the independence of the processes: conducting research and development (University units), technological and production processes (the company) and implementation of the developed methodologies (spas, hospitals). Success factors: Ensuring effective cooperation between the R & D sector entities, entrepreneurs and business environment institutions will enable the transfer of innovative technologies and medical procedures developed by the consortium members. High quality and effectiveness of the obtained results will affect good practice, which will translate into a higher level of trust between partners, better cooperation during the implementation of individual research tasks and business and strategic cooperation with partners in the field of long-term results. Increasing the competences between scientific and research units and enterprises will enable the acquisition of new procedures, high integration of intellectual and infrastructural potential, creation of new R & D units. Transferability: It is very important to maintain the priority of knowledge transfer before commercialization in this area. The recommendation for the organization is presented in the model of license fees, i.e. remuneration for the performance of the research service and the distribution of rights to the results of cooperation. The university acts as a contractor for a research service commissioned by the entrepreneur. This model assumes a low lump sum paid for the implementation of a research service, which is dedicated to diagnostic companies (including POZ centers as potential buyers), patients (end-user products) and companies that are a manufacturer or distributor of medical devices. Potential commercial buyers of the planned project are, among others operating in the Kuyavian-Pomeranian province diagnostic laboratories, such as Alco and Vitalabo, or networks of diagnostic laboratories operating in Poland: Medicover - Synevo,Diagnostyka, ALAB Laboratoria and operating abroad: Siemens Medical Solutions USA, DiagnoCure USA, Sienna Cancer Diagnostics Australia or Dako Agilent based in Denmark, as well as companies involved in conducting clinical trials such as Bioscience. Solutions proposed as part of the projects are also interested in pharmaceutical and cosmetics companies, i.e. Axfarm, Anwipharma, and STADA Poland as well as manufacturers of medical and laboratory equipment, i.e. Merck, Toruń Zakłady Materiałów Opatrunkowych and Sorimex. Short description: This good practice comprised an R&D workshop for biotechnology companies and researchers organised by the Tartu Science Park in cooperation with the Tartu Biotechnology Park, on August 28-29, 2018. The focus laid on the support for bio-businesses and precision diagnostics, giving guidance on how to establish a business based on science ideas. Besides a presentation by the Business Innovation Coach, Iordanis Arzimanoglou, on a variety of topics in the field of diagnostics, cooperation, market access, funding etc., the workshop participants also had the possibility to have a 45-minute one-on-one consultation with a trainer and were able to undertake company visits for example to the Tartu Biotechnology Park Incubator and Estonian Genome Centre. Success factors: The R&D workshop offered an opportunity to all relevant actors in the life science field to ask, discuss and share experiences and to get information about future steps. One-to-one consultation with the trainer added extra value for SMEs, it gave the opportunity to discuss challenges and get feedback from an expert. Transferability: The transfer of the format requires a strong orientation towards SME challenges when it comes to selecting the topic of the event as well as a clearly defined organisational principle that allows for efficient organisation. The implementation has to have a quality that makes the format attractive enough for participants. The format requires a close cooperation between organisers and SMEs and other interested parties. Short description: Tartu Biotechnology Park (TBP) Mentor Club events are directed at enterprises and their employees active in the field of life science, as well as start-ups, research and development institutions and their staff, students and others interested in biotech business. There is a lack of interaction between R&D actors and enterprises which Mentor Club events aim at improving. R&D actors such as universities and research facilities will ideally be better linked to regional SMEs, especially in the priorities which are chosen in South-Estonian smart specialisation strategy. Every Mentor Club event has a specific topic and theme, which are planned based on the participants’ interests. TBP frequently asks participants for their suggestions and expectations, in order to meet participants’ needs and interests. Firstly, the interests and topics regarding their business, the mentor’s personal work or entrepreneurial experience are collected and discussed. After the event, Biotechnology Park collects feedback and future suggestions from attendees. Mentor Club events take place every three months. Interested parties can participate on sight or via distance, whereas the events are purposely set-up in the afternoon in order to create a convenient time frame even for entrepreneurs. The event will include approximately 25 participants, facilitating free forms of communication over a time period of around three hours in the afternoon. Mentor Club events are free of charge and a small snack and beverage will be offered. Usually the event is preceded by other life science evens in order to increase synergies. Success factors: The main success factors are the development of a network of mentors and investors in the field of biotechnology, as well as systematic attention to developing regular cooperation between technology transfer experts and universities. Transferability: A successful transferability of this format requires a focus on SME challenges when selecting the topic of the event as well as a clearly defined framework that allows for efficient organisation. High quality of the event is equally important to make it attractive to a wider audience. Short description: Technology Talks aim at interlinking businesses focusing on SME, and science, but also involves political stakeholders. The overall objective is to get the companies acquainted with RIS3 and to explain and demonstrate the strategy’s advantages to them. This is done in a multi-layered way: During the first step, a supra-regionally active and renowned company is invited to present its latest research projects and fields of cooperation with universities or other research institutions as best practice examples, which will result in a further discussion, including additional stakeholders, ensuring a multiplier effect by targeting a wider audience. In a second step, a delegation trip to this company will be arranged which involves not only other companies and SME, but also university representatives and provides an excellent opportunity not only to get acquainted with the relevant enterprise, but also to create a network around the research project (match-making effect). Links to the RIS3 strategy are made throughout and at the end of this process. So far, four Technology Talks in total have been implemented, covering fields such as the marine industry, energy efficiency and technology trends. These events were jointly organised by Rostock Business and the Rostock Marketing Initiative and fully financed by participation fees. These events have created a network from 40-80 stakeholders, including representatives of local, regional and supra-regional companies as well as representatives of the University of Rostock and state politicians, which have jointly reflected on future strategic development steps. Furthermore, universities and research institutions have gotten the opportunity to start future- as well as practice-oriented talks with local and regional companies on potential research and cooperation topics. The format has allowed local as well as supra-regional actors to cooperate, interlinking a multitude of layers. Success factors: A constructive cooperation level and a diverse share of participants are of major importance for keeping the format attractive. Furthermore, the explicit reference to the RIS3 strategy and the involvement of strategy owners ensure further embedding, raising the importance of the event for regional as well as supra-regional business activities. Requesting a participation fee will not only secure finances but ideally also create participation retention and pressure the organisers to deliver a high value output. Deciding on one key topic per event is seen as beneficial for content delivery. Transferability: A transfer of the Technology Talk onto other places and regions is highly recommendable. This tool can be implemented as described or adapted to local structures and demands, provided that interesting and renowned speakers are involved in the first stage, creating a high participation outlook for the second stage. Short description: Design and design-thinking offers a different approach, a range of methods, a mindset and way to act and visualize issues, tasks, challenges and possible solutions. In other words: it allows us to figure out innovative solutions to complex problems. It makes it possible for companies to produce the correct product for the market or create services making the companies even more competitive – for example please click here. But also authorities can benefit by using design methods to turn an abstract topic into a subject with concrete political action – for example please click here. In a world where multiple solutions and directions have become our every-day-life a ‘one size fits all’-way of thinking does not apply in a competitive business or complex political processes. Here design-driven innovation (DDI) can be the answer. The methodology enables a company, an organization or a public entity to produce the right services, products or solutions by structurally following multiple paths always with the end-user as the focal point, thus creating more growth and innovation in a company or region. The methodology of DDI touches upon the whole innovation process and the entire value chain and takes all perspectives and potential problems into consideration. Therefore, when working design-driven, a multidisciplinary and a holistic approach – including manufacturers, companies, workers, researchers, programmers and consumers in the process – is key. Meanwhile, regions such as The Region of Southern Denmark consider design as a ‘growth motor’ and thus an important enabler for realizing the region’s smart specialization strategy. managed by experts of various fields. and cooperation possibilities in (South) Estonia in one place. universities, etc. Demo Centre visits are free of charge. Short description: Scale-Up Denmark is an ambitious cross-regional training concept for entrepreneurs and small enterprises. The aim is to establish an elite of high growth companies in Denmark. Its foundations are Denmark’s five regional business development strategies (S3) and some of Europe’s most competitive innovation ecosystems. In line with the regional S3 in Denmark, a total of 12 scale-up hubs have been established of which four are anchored in the Region of Southern Denmark, namely “Energy Efficient Technologies”, “Offshore Industry”, “Robotics” and “Experience Economy and Tourism”. The cross-regional scope ensures that a critical mass of businesses and skills is involved, while regional specializations are supported and utilized. Scale-Up Denmark is governed by the founding partners and supported by an advisory board with key private and public sector stakeholders. The project was inspired by the world’s best ecosystems for business growth, and, out of this, was arranged with the aims to attract high-performance enterprises (Danish and international ones), to provide access to seed capital and venture capital, to engage market leading companies from the regional ecosystem, to involve leading universities, research institutions and science parks and to provide easy access to the services of the entire Danish business support system. At Scale-Up Denmark’s hubs, participating enterprises get access to an intensive 3 to 6 months acceleration training and mentoring programs and a fast track to investors. The initiative is funded by regional development funds, ERDF and private funds. Success factors: The format is based on a solid financial framework, which is guaranteed by the Danish regions and the Danish Business Authority and on a good cooperation across regional borders, which also ensure a professional coordination and a critical mass of high growth potential companies. They keep the participation level high, it is important that the format insists on excellence, i.e. involves only those companies that actually have a significant growth potential. Furthermore, to keep the public sector as stable basis with reputation involved, it is important to limit the risk on this side via a contribution (co-financing) from the private sector, which also assures a high level of commitment on the companies’ side. Short description: Innovative Materials Arena (IMA) established by the Region Östergötland in Sweden functions as a cluster and networking platform to support growth and collaboration between research and economic actors active in the field of developing and implementing innovative materials in industrial production. The aim is to identify and build collaborations with stakeholders of key European regions active in material research and production, besides providing networking, matchmaking and R&D transfer events in East Central Sweden. By facilitating and promoting transnational exchange of information, international research applications and projects, cluster collaborations or concrete investments, IMA works on sharing competences, resources and innovation on a pan-European level. Short description: The Research and Implementation Fund (RIF) is a grant project carried out in the Kujawsko- Pomorskie Voivodship region, offering diverse services and investment opportunities to local entrerprises in order to strengthen their competitiveness. Among others, the support encompasses services and funding opportunities for: R&D activities including industrial research and experimental development works; patent vouchers for costs related to patent applications, patent analysis, utility model and industrial design protection; research vouchers for the implementation of research and development activities for e.g. SMEs operating in the Kujawsko-Pomorskie Voivodeship region. The outcome aims at increasing cooperation and synergies amongst different stakeholders for research and commercial purposes. Possible beneficiaries of the fund are therefore enterprises, research institutes and universities. Success factors: Key aspects in successfully implementing RIFs are the outlining of and outreach to an effective target group, the creation of a clear, transparent and easily accessible framework for the application process as well as the provision of a reliable contact person. Transferability: Since RIFs are generally aimed at universities, research institutes and companies, this tool can be easily transferred onto other thematic or spatial areas. A key element is that the matter of funding surpasses the merely monetary aspect, extending onto the provision of research facilities, equipment, prototypes and R&D enterprises. Short description: Hackathon is a 24 hours competition for teams of students, researchers and innovative people who jointly work on solving a real-life challenge that is given by a private company or public employer. The teams must possess expertise and knowledge in the fields of programming, graphics design as well as out-of-the-box thinking skills. The event is hosted by the respective private companies or public organisations and aims to promote digitalisation solutions in these sectors. The participants work in teams on real challenges existing within the hosting organisation in order to develop innovative solutions for them. In the end of the competition the teams present their ideas and concepts to the jury which selects the most innovative and valuable solution for the host organisation. Key aspects for a successful implementation are incentives to establish linkages between universities/students and the business sector, an attractive award for the winning team and a target-oriented mobilisation of participants. Short description: WoManager is a training concept at the South-Eastern Finland University of Applied Sciences / Small Business Center in Finland, aiming to support women in developing their leadership, entrepreneurial, managerial and digital skills. It addresses women either studying or already working as managers or entrepreneurs and provides them with a tailored training programme focusing on individual and everyday challenges and subjects. Besides this problem-solving approach and its course units conducted in small working groups, the training programme opens up opportunities to network with other women and female leaders at the university and beyond. The comprehensive approach of WoManager thus gives women the chance not only to improve their managerial skills but to build relations and extent their economic network to leading women. Success Factors: In order to provide participants with the necessary tools, the group of women should remain rather small and the agenda as well as topics and studytrips should be well planned out, aiming at specific pre-set goals. Transferability: WoManager is easily transferable to other contexts. The possible adaptation to local needs should be kept in mind though. Short description: The development clinics function as a horizontal SME empowerment tool to improve specific capacities of SMEs active in various priority areas of regional Research and Innovation Strategies for Smart Specialisation (RIS3). The clinics aim at enhancing the competitiveness of SMEs by training them for example on internationalisation or commercialisation strategies and related tools, and by offering them consulting services of regional experts for specific challenges and obstacles. The clinics can help SMEs to develop their own internationalisation or commercialisation strategies, to get familiar with related tools and methods and to learn about regional, national or European funding opportunities. In addition, participants of the clinics have the chance to network with SMEs, university or R&D transfer entities working in the region and field of interest. By doing so, strong and sustainable clusters of stakeholders working in the same priority area can be built to support regions in improving their smart specialisation strategies. Success factors: The content must be very concrete and help participants to take concrete actions towards e.g. internationalization or commercialisation. Transferability: The clinics can easily be transferred to other regions as approaches to improve specific capacities of SMEs in the field of internationalization or commercialisation are based on similar economic concepts and theories. Short Description: The Life Science Cluster of Latvia and Latvian Pharmaceutical, Biomedicine and Medical Technology Competence Centre was created with the purpose to further develop life science and materials science industries in Latvia and to increase competitiveness of the related sectors, thus becoming the driving force of innovations, growth and competition promoting sustainability as well as creating products and services with high added value. There are around 60 private companies, research institutions and state agencies that comprise the core of the Cluster, which aims at promoting cooperation amongst entrepreneurs of the pharmaceutical and related sectors in the fields of development, sales and productivity. It attempts to promote national and international competitiveness in order to develop a business environment oriented towards growth and innovation. Latvian Pharmaceutical, Biomedicine and Medical Technology Competence Centre was founded by five leading pharmaceutical companies and the Association of the Latvian Chemical and Pharmaceutical Industries. Its mission is to promote industrial innovation by supporting research, developing new products and technologies, commercialising them and promoting cooperation of the research and manufacturing sectors. Co-funded by the ERDF, the Competence Centre currently implements about 20 comprehensive applied research studies that aim at both developing new products and services in the pharmaceutical, biomedicine or medical technology fields and successfully commercialising these products. Success factors: The Life Science Cluster of Latvia and the Pharmaceutical, Biomedicine and Medical Technology Competence Centre are not unique examples on the BSR level. However, they have withstood the test of time and proven to be real success stories due to their distinct focus and values. This includes: Close collaboration among companies and related organisations in knowledge sharing, customer contact and project delivery activities; Delivering quality of services at the highest level of the industry standards; Providing thorough knowledge of the field through continuous education and trainigs; Showing the ability to create new solutions and attract future R&D investment to the Latvian biotech sector on a local and international level. Transferability: The Cluster initiatives correspond well with the goals of EmpInno as they allow exchanging knowledge and methods on how the RIS3 processes are being introduced in practice rather than producing intangible outputs. They provide opportunities to share experience gained through the implementation of certain success stories and help to boost regional competitiveness and innovation. The activities that are performed by the Life Science Cluster of Latvia and the Pharmaceutical, Biomedicine and Medical Technology Competence Centre can be easily transferred to other actors and regions in the Baltic Sea Region and elsewhere via specialist networks. Furthermore, they manifest ways of how smart specialisation strategies can successfully be implemented in practice. Short description: SHOPA is a strategic consulting tool, addressing entities interested in the development of their institution’s innovation policy, through three stages: design thinking, problem-solving methods and the creation of creative spaces. In a first multistage step, teams of five to six specialists or researchers gather information on the needs and demands of a specific target group regarding a specific product or service. Based on this information, an actual problem will be defined along its potential solutions, which are then tested and re-worked to meet the clients and customer’s expectations. Success factors: For a successful implementation a strong framework covering a time-efficient agenda and clear goals is as important as maintaining working teams at a small size in order to create more efficient communication. Furthermore, funding plays a key part in ensuring the project’s durability. Transferability: This GP is based on experiences from institutes in the USA, Finland and Norway, making its transferability onto other scientific institutions and companies recommendable. Short description: Devopsdays is a worldwide series of technical conferences covering topics of software development, IT infrastructure operations, and the intersection between them. Each event is run by volunteers from the local area, who handle their own sponsorships, registration, and all other organization. Most devopsdays events feature a combination of curated talks (selected through a call for proposals) and self organized open space content. Topics often include automation, testing, security, and organizational culture. The first devopsdays was held in Ghent, Belgium in 2009. Since then, devopsdays events have multiplied and conducted in various cities worldwide. Success factors: Find people in your region who want to help you run the next event. Inclusiveness and respect for differences are core devops values. These events are not for individual or corporate profit. Sponsors are much appreciated for their financial assistance. No speaker spots can be bought by sponsors! Ensure that anyone who’s interested in attending a devopsdays is able to, and that price is not a barrier. So, you’ll have to keep your prices relatively low compared to many industry conferences. Transferability: Select at least medium-sized or bigger cities for this event to make sure that you can reach a „critical mass“ of participant. Venue space considerations: A (big) room where everybody can sit comfortably and listen to the talks and a number of break-out rooms for the afternoon sessions. Avoid overlapping dates with other devopsdays, especially nearby.. Use the overall devopsdays brand and settings. Short Description: This tool developed by Riga Planning Region is an interactive RIS3 analytical online platform. The aim is to better coordinate regional development processes embedded in Regional Innovation Strategies on Smart Specialisation (RIS3). The tool provides municipalities working with the RIS3-approach with practice-related knowledge about RIS3 and its implementation on the local and/or regional level. Furthermore, it helps authorities to analyse, identify and map potential growth areas for further support. Overall, the platform tool enables regions not only to better understand their existing ecosystem but to join forces and resources to improve regional development processes, policies and to discover economic potentials. Short Description: The European Innovation Week is a unique economic event in Eastern Europe based on a practical combination of mature business and innovative projects. Participants therefore are representatives of EU administrations, ministers and members of parliament, city and regional authorities, investors, business, science, culture and non-governmental organisations. At the European Innovation Week, experts from around the world have the opportunity to talk about innovations related to Regional Smart Specialisations, also in the context of the new financial perspective. Furthermore, space for building business relations based on innovation, knowledge and dialogue of young companies with experienced business is provided. The idea of the European Innovation Week is built around a platform of cooperation between science and business, in the field of innovation and smart specialisation, which, in accordance with EU policy, are the drivers of the development for EU regions and Member States. The first edition attracted more than 80 speakers, 400 companies from the innovations sector and more than 1300 delegates. The online stream was followed by several thousands of people. Short description: Life Sciences Baltics is the only international forum in the Baltics for world-class biotechnology, pharmaceutical and medical devices experts from all around the world. It is organised every other year in Lithuania and provides a unique opportunity to explore the new horizons of partnerships, exchange ideas and seek progress through networking. The forum combines a variety of connected activities including conferences, B2B and networking, an exhibition section and start-up masterclasses. Renowned speakers are invited to share their experiences and insights at the conference. Nobel Prize winners, chief science and innovation experts from world class companies attract hundreds of participants to several sessions conducted in a two full day conference. At Life Sciences Baltics scientists and researchers get the opportunity to present their scientific ideas or projects to a wider public during the poster session. 50-70 scientists and researchers use this possibility to interact with their peers in the format of a poster at every forum. Participants may take full advantage of the Partnership Event, which facilitates pre-scheduled individual one-on-one meetings among forum participants that aims at providing a possibility to discuss potential new products, technologies and services, business and research cooperation, technology transfer agreements, find buyers and suppliers and even more. Another section of the forum comprises start-up masterclasses. The start-up ecosystems in all three Baltic countries have experienced a rapid progress in only a few years. In the Baltics, life sciences start-ups have been contributing more and more to the overall industry dynamism in recent years. Their bold ideas have shaken traditional segments of medical devices, medical testing, biotechnology and pharmaceuticals. Life Sciences Baltics Start-up Masterclasses are a two-day-long intensive training course tailored for life science start-ups in the Baltics and for innovative non- EU life sciences entrepreneurs from Turkey, Belarus, Ukraine, Georgia, Russia and other countries, meeting requirements for the Start-up Visa. Success factors: ector specificity and complexity of the event are considered the main success factors. The forum grows with every event, steadily adding new sections such as B2B and networking as well as start-up masterclasses, in order to provide more added value to the participants and thus expand onto a wider audience. On the other hand, ability of organisers to invite renowned experts and speakers such as Nobel Prize winners makes the forum a priority event in the region and in the specific sector of health and life sciences. The forum attracts more than 1500 participants from over 30 countries. The Baltic region is considered a single market for many larger countries and nations. Therefore, positioning the forum as a region- rather than a country-specific event, makes it more attractive for an international audience. Life science industries, pharmaceuticals and genetic research are predominant throughout Lithuania, Latvia and Estonia, turning the Baltic region into an overall dynamic area, while creating distinguished national propositions to the market. Transferability: The format of such an event is transferrable both in its entirety as well as limited to only some events. As a whole it ensures the participation of different stakeholders (such as the public, researchers, businesses, and investors) whereas separate events such as conferences, B2Bs, exhibitions or start-up masterclasses will rather target a specific group. Short description: The Rohevik Forum is aiming at a sustainable and environmentally friendly future in the Nordic countries and the Baltic States. Rohevik is a green economy forum that was launched in 2011 by the Estonian Office of the Nordic Council of Ministers. The annual event joins politicians, business operators, researchers and experts to discuss how a sustainable way of life can be achieved in the Baltic Sea region. The topics of Rohevik cover all areas of the green economy and environmentally friendly ways of life. Whether the spotlight is on environmental and energy technologies, urban planning, the bioeconomy, sustainable transportation or issues of the energy market, depends on the interests of the partners and the significance of the topic. Organisers are keeping an eye on trends and welcome suggestions regarding topics and cooperation. In the forum there is a governance panel, a business panel and a community panel. These three panels allow to gather the topics and provide the opportunity to have deeper discussions. The circle of organisers of Rohevik changes over time, but permanent partners are: the City of Tartu, the Association of Local Authorities in Tartu County, Tartu Regional Energy Agency, Tartu Science Park and the Estonian University of Life Sciences. Success factors: This GP tool offers an opportunity to all relevant actors in the region to ask, discuss and share experiences related to green economy and to get information on future steps. It increases openness and awareness regarding a green economy. Transferability: The transfer of the format requires a strong orientation toward a green economy when it comes to selecting the topic of the event, as well as a clearly defined organisational principle that allows for efficient organisation. The format requires close cooperation between organisers and other interested parties. Short description: The EmpInno partner Riga Planning Region started a series of regional seminars to inform a variety of regional stakeholders about the implementation process of the Latvian Regional and Innovation Strategy on Smart Specialisation (RIS3). RIS3 in Latvia has been elaborated on and is monitored by the Ministry of Education and Research, the strategy is designed as a national strategy. Accordingly, EmpInno seminars aim to bring RIS3 closer to target groups. This means, in particular, to raise the awareness of the significant role of smart specialisations in the development of the region, to inform about lessons learned from other regions, partners and RIS3 specialists within the EmpInno project, and to discuss challenges and potentials of RIS3 for Latvian regions and municipalities. The seminar conducted on 13 November, 2018 in the city of Olaine in the region of Riga was dedicated to the Latvian smart specialisation strategy priority sector Biomedicine, Medical Technologies, Biopharmaceuticals and Biotechnologies. Riga Planning Region invited representatives from public institutions, entrepreneurs, non-governmental business support organisations and regional research institutions active in the priority field. Results of a recent research study on smart specialisation ecosystems in the territory of Riga Planning Region were presented, a SWOT analysis of the region had been conducted and processes of change regarding the priority sector had been discussed. Around 30 RIS3 specialists and stakeholders attended the seminar. Success factors: The seminar offered an excellent opportunity to gather all relevant regional stakeholders from different scopes, institutions and business areas to get to know each other, meet in person, discuss and share experiences and best practices as well as to obtain more information on RIS3 implementation processes in Riga Planning Region. In order to ensure real added value beside the networking, professional moderators and RIS3 experts from the EmpInno project were invited to provide high quality knowledge input based on experiences with RIS3 implementation processes. In general, the seminar allowed for an increased visibility and knowledge of the smart specialisation concept and helped to disseminate results and experiences from the EmpInno project. Moreover, the seminar intensified and created regional Private-Public-Relations to further elaborate RIS3 and related priority fields and, thus, to support the development of strategic alliances for innovation and growth in the region. Transferability: The seminar generally is transferable to other regions and RIS3-related priority fields. It can be easily implemented by inviting all RIS3 and priority-related actors from public authorities, business, research and business support organisations to a joint event. Furthermore, professional moderators familiar with the themes, as well as RIS3 specialists either from public authorities, research institutions or business support organisations are to be found in most EU-regions. Short description: The Technoforum is a two-day event which is jointly organised by the Hanseatic City of Rostock, Rostock Region municipality, Rostock Business and the regional association Regiopolis Rostock. During the first day, scientists present their current research, whereas the second day is dedicated to visiting research institutions or laboratories. Each year, the events will focus on one key topic such as renewable energies, maritime economy or health sciences. Participants come from business companies in the Rostock region, as well as from the University of Rostock and its associated research institutions. The format was developed out of a survey implemented among companies, where the explicit demand for a closer cooperation between science and business was expressed. Furthermore, this tool intends to be a platform for networking and exchange, not only between business and research, but also between urban and rural areas and their administrative institutions – which has been a cooperation gap in the past. So far, the event was implemented three times, in 2016, 2017 and 2018. The 2017 event involved 75 participants in total and focused on the strategic aims deriving from the RIS3 strategy. The event has been financed by the aforementioned alliance of organisers in cooperation with the regional Ministry of Economics. Success factors: The focus on two underdeveloped areas, namely the urban-rural and science-business dimensions have attracted university and company representatives alike. Feedback furthermore showed that the wide range of short presentations made the events extremely efficient. Cost-sharing between regional and local authorities and the good organisational cooperation within the alliance provide financial security. Transferability: The format is suitable for transfer but needs to provide a strong framework where topics are oriented along the latest global and European market requirements. Furthermore, a high-quality output needs to be delivered in order to justify participation fees. Short description: MatchINDUSTRY is an annual industry networking event for the top players of marine, energy, offshore, automation and technology industries, where 20-30 ‘main-contractor’-companies and 500 participant-companies, mainly SMEs, are invited. The participant-companies are suppliers, subcontractors and technology companies operating in various businesses in need for new customers and business opportunities, chosen according to the main-contractor-companies’ needs. The event comprises a seminar-day where relevant issues are presented by international speakers and a second, contact day for f2f meetings, and networking. The event allows for over 40 meetings in one day, which makes the format particularly efficient and, thus, meets the expectations of highly professional business partners. In order to maintain this high-quality level, benchmarking and evaluation tools are regularly implemented. Success factors: To make the event attractive and beneficial for all parties, it is important that on the one hand side the main partner companies have global market access and can in turn provide this to SMEs, and on the other hand that SMEs can bring in fresh ideas. A diverse and dynamic set of participants is therefore necessary. To achieve this, the event is organised in cooperation with strong networks (Finnish Marine Industries, Finnish Technology Industries, Business Finland, Satakunta Chamber of Commerce and the Federation of Finnish Enterprises), and also with the help of regional and national support, in this case by the City of Pori and the Arctrade Growth Program. Transferability: First attempts to transfer the concept were made, for instance in Northern Scandinavia in order to speed-up business activities in the Arctic area, by establishing or strengthening cooperation between companies from Finland, Sweden and Norway. It turned out that the transfer works very well and can be recommended as far as the following success principles are taken into account: SMEs need to be sorted out beforehand according to the main contractor’s specific needs, improving the matchmaking process; new participants are invited on a regular basis to increase the flow of fresh ideas; the event is organised in cooperation with strong networks, involving important local stakeholders; and finally the tools is implemented according to specific local knowledge, structures and demands. Short description: The forum CRIF, organised and implemented by Denmark's Energy Innovation Cluster, works on building bridges between universities and the industry and is based on the understanding that knowledge-sharing is necessary to secure technological development in society. It addresses concrete challenges presented by large players of the industry, aims at cost reduction and implementing innovative solutions. By following the CRIF model, the forum aims at ensuring that new ideas and creative solutions from universities and small companies become part of the future offshore industry. In this context, offshoreenergy.dk launched a CRIF Project Calls newsletter, addressing the contact points at Danish universities. The newsletter provides an overview on CRIF-projects that are in an initial stage and are currently looking for problem solvers. Interested potential partners can contact the relevant institution via the editor of the newsletter. Success factors: To launch successful innovation projects out of the CRIF format, it is essential that the “problem owner”, typically bigger (tier 1 and 2) enterprises, are explicit and specific about the challenges to be tackled, and that only universities and companies with relevant inputs to addressing the challenges present themselves to the “problem owner”. Therefore, funding, e.g. structural funds as in the Danish case, for network or cluster organisations to facilitate the whole process (Identify Challenges, Scout Solutions, Initiate and Coordinate Innovation and Manage Implementation) is an additional key success factor. 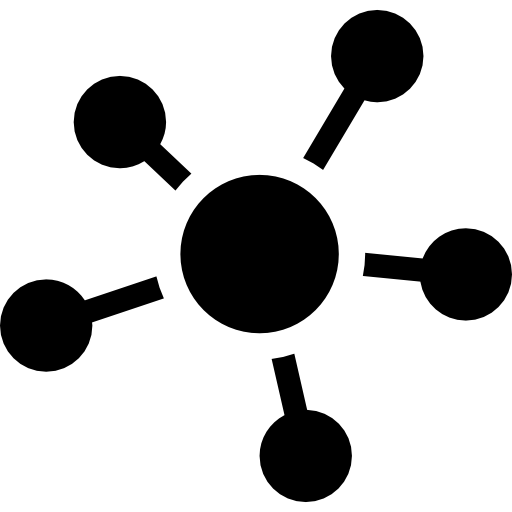 Transferability: The format is easily transferable to other regions and subjects, resulting from the fact that it works like a networking platform. The adapting institution or region will merely need a software expert to adapt the platform accordingly. Short description: The project „New Digital Solution in Food System – from ideas and concepts towards piloting” is realised by the business development company Into Seinäjoki Oy in the South Ostrobothnia region, owned by the City of Seinäjoki and Seinäjoki University of Applied Sciences. It targets mainly local ICT, food system businesses or start-up companies, struggling to find adequate testing environment due to a lack of networks. This GP aims at closing the aforementioned gap by providing matchmaking between business sectors, in order to, on the one hand side, provide start-up companies with the necessary testing grounds and mature businesses with finalised products and services, boosting their business and raising their competitiveness. Success factors: For a successful implementation, participation of competent and relevant entities is as necessary as a solid framework, provided by a strong leader with sufficient knowledge about local particularities. Transferability: Transfer is particularly easy within the field of ICT, fostering future business cooperation. Short description: Taste Organics is a three-day long organic food event organised by the South Eastern Finland University of Applied Sciences and carried out in different venues in the Mikkeli region. The objectives are to transfer research results to a diverse audience, aiming at attracting both old and new users as well as to establish new cooperation in order to foster a more efficient exchange of information on the local organic food chain. Taste Organics consists of several sub-events, making this an occasion attractive to, amongst others, local and international producers, processors, restaurants, public food services, retail, consumers or tourists. Besides offering a networking, matchmaking and development opportunity to SMEs from the food sector, the event also aims at disseminating the latest research to professionals and the public. Success factors: For a successful implementation, a strong organiser is needed as well solid partner cooperation early on in the process, preferably between a variety of partners such as city officials, local development organisations, tourist agencies, organic organisations etc. in order to make delegation possible and to foster efficient results. Furthermore, target specific and intricate advertisement and promotion will raise the events effectiveness. Sources and needs of funding can be steered through the amount and types of activities implemented. Transferability: The event is transferable to other regions, provided it presents a diverse and active agri-food sector.